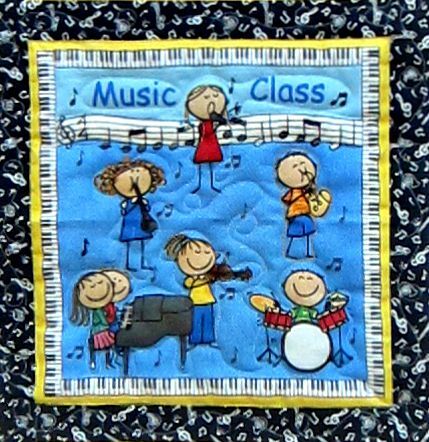 I must confess that even though I didn’t teach music for several years, I was still collecting music themed fabric. Most of the time I didn’t know what I would ever do with it. But this was a no brainer. You know this HAD to go into a quilt. I just love this print and was so pleased to finally use it. 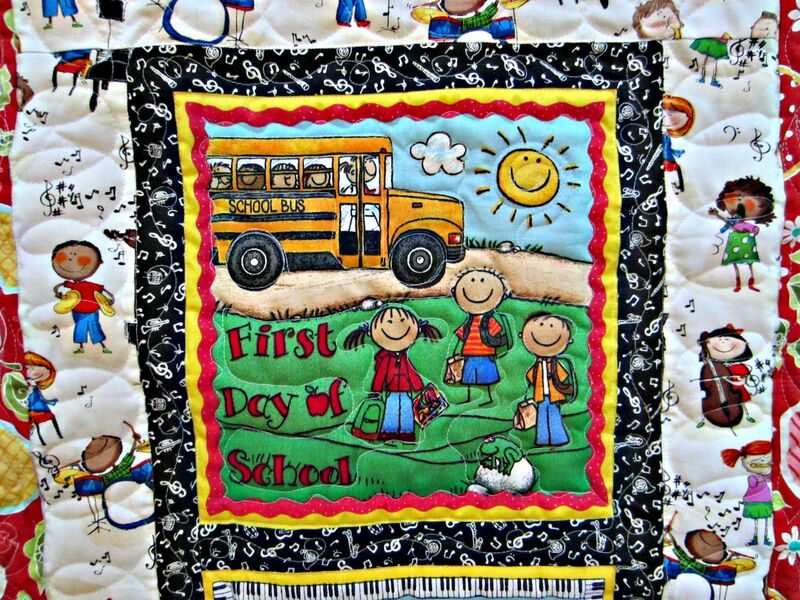 The kids will need a special quilt to great them the 1st day of school. The final quilt, that will fit nicely on my classroom door, will greet students through the end of Sept. The red apple fabric for the border was a must. These seasonal quilts are very fun!